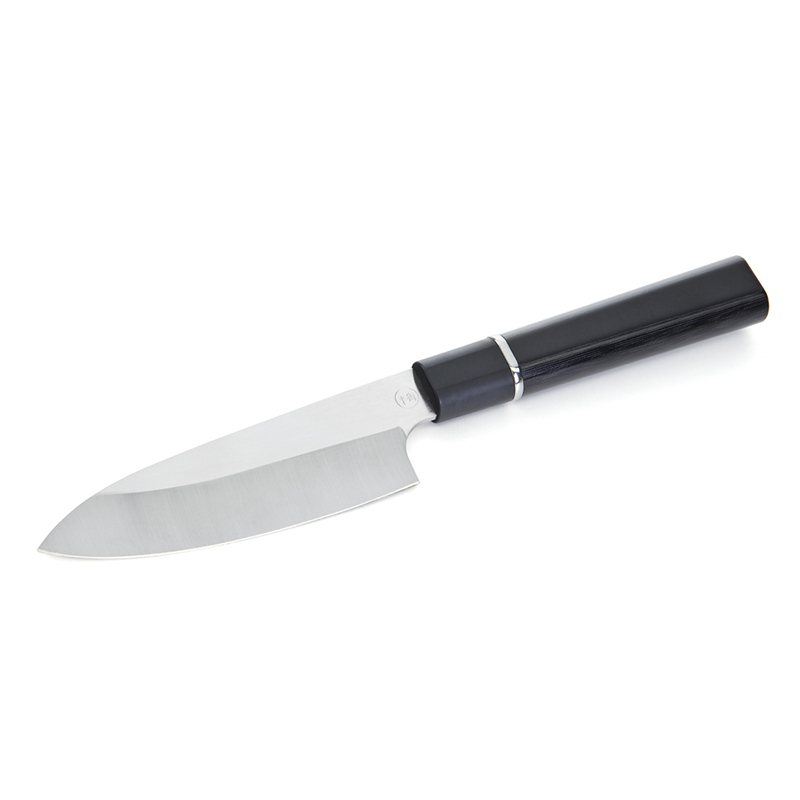 The small size of the Equilibre Deba knife enables the cooks to manipulate it with great agility. Its ergonomics offers a perfect balance between the very high quality steel blade and the made of resin handle that ensures a durable item. 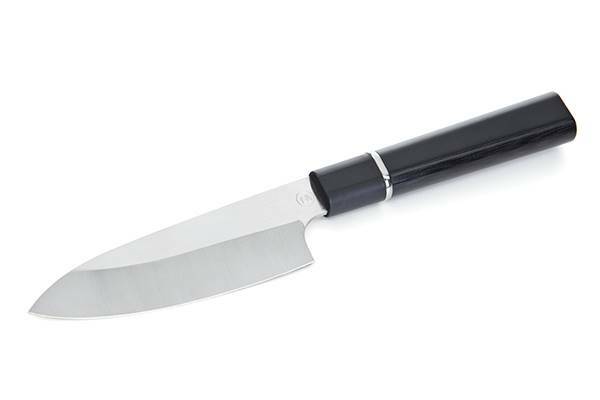 This professional knife offers a very comfortable grip that guarantees remarkable precision in every move. The blade of this Equilibre Deba knife benefits from a particular thermal treatment realised under a controlled atmosphere in Thiers cutlery. 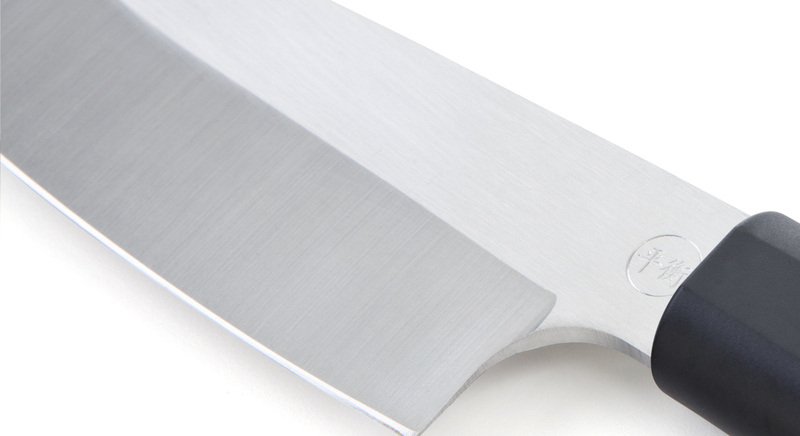 This cryonics technique enhances the mechanical qualities of this kitchen knife, thus offering an unparalleled cutting edge. 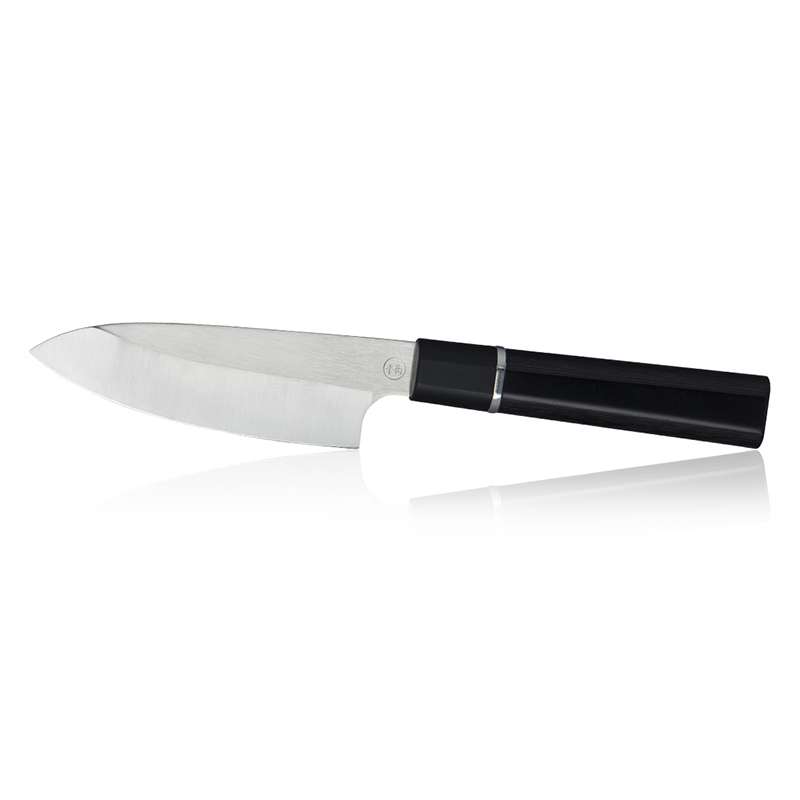 Made In France, this pro knife is one of the best to cut, slice or mince meat and fish without any damage. 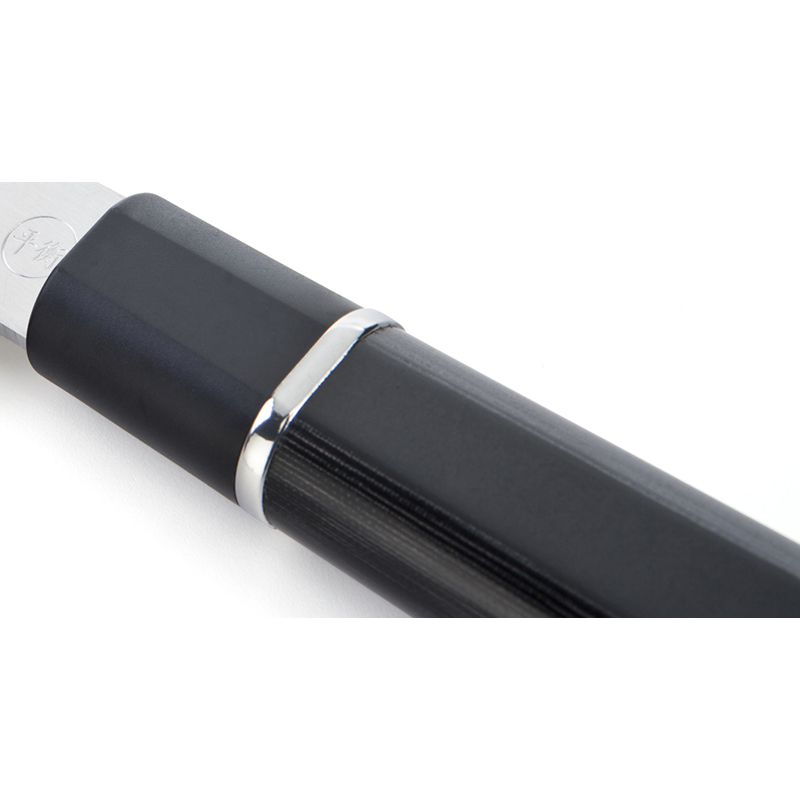 To offer it as a gift, this Deba knife blade can be personalised by a personal message up to 30 letters.